I fully test and certify all new installations and also offer a fault finding service charged at a competitive hourly rate. All work to remedy faults is then done on a fixed price basis prior to work taking place so there are no nasty surprises or hidden charges. Please contact us to find out more. All works carried out comply with health and safety regulations, and are building regulation compliant. I provide a wide range of electrical services both in and around the home and garden, in addition I can install bathrooms and kitchens with all associated plumbing and tiling work undertaken. Please use the tabs at the top of the homepage to view. 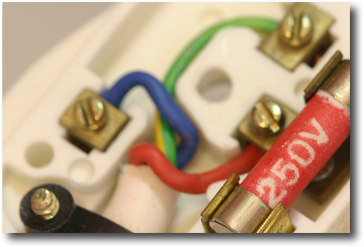 Some of the electrical services are listed below. However if you have a particular project in mind that is not listed or is not on one of the other pages, then please contact us. Although we are based in Hemel Hempstead and primarily cover the Hertfordshire area, we are happy to discuss contracts is other areas. Please do contact us, we would be happy to discuss your requirements. "Your electrical safety is our business"